Milgard has over 50 years of experience manufacturing windows and patio doors for all size projects. Backed by their popular Lifetime Warranty, Milgard has become one of the most respected brands in the industry. Tuscany® Series Vinyl Windows and Patio Doors offer you endless possibilities no matter the style or size of your home project. With equal sight lines and a frame shape that creates shadow lines, Tuscany® Series Vinyl windows are very much in the architectural styling of wood windows. 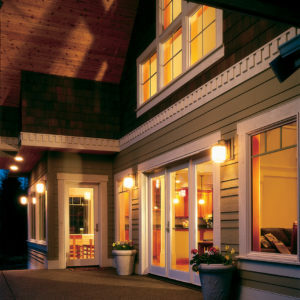 Tuscany® Series windows are made from Milgard® premium vinyl and have superior performance and energy efficiency. Style Line® Series Windows offer a sleek, clean, contemporary look. Milgard® Style Line® Series windows will make your home feel expansive and the slim profile allows for plenty of natural light. With clean lines, functionality and durability, you will enjoy the light, the view and so much more for years to come. 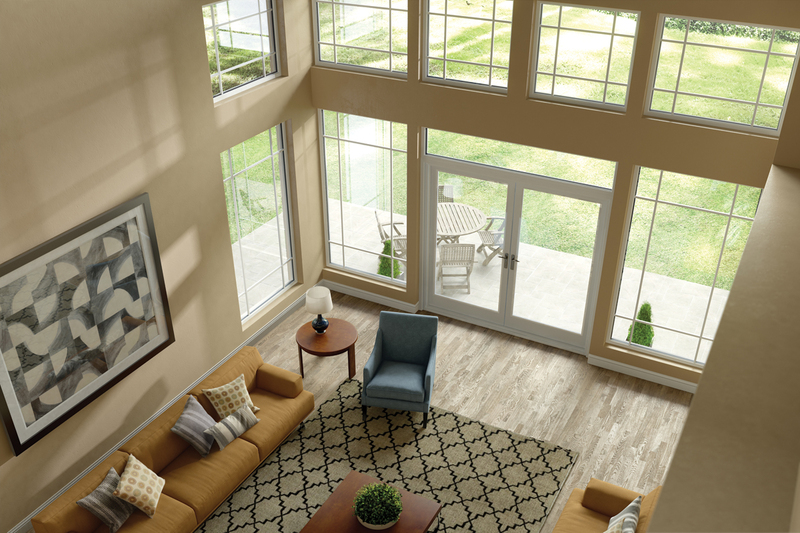 Ultra™ Series Windows and Patio Doors offer warm rooms full of light and life. For appearance and performance, Ultra offers an upscale look that will complement any home. Its baked-on paint finish won’t peel or crack, unlike a painted wood finish. Big or small homes, new or remodeled, classic or contemporary, Milgard® Ultra™ Series fiberglass windows and patio doors add impact and value to your home. Essence Series® Windows offer natural, solid wood on the inside and strong, durable fiberglass on the outside that will not corrode or warp like traditional wood windows. This exceptional durability is why Milgard® can offer something you simply won’t find with other wood windows. Every Essence Series® window is made to your exact size and specifications. Seemingly endless design possibilities with options on exterior color, interior finish, windows in combination, decorative glass and traditional or contemporary grids. Sleek tilt latches with recessed push buttons on our double hung and slider windows allow for easy tilt opening and convenient cleaning. Essence Series® Windows embody beauty and strength. Style and innovation. Comfort and creativity. Design and durability. The strength and versatility of fiberglass and vinyl protects your investment from the harsher side of Mother Nature. Because of its inherent properties, fiberglass won’t swell like wood and it expands and contracts at the same minimal rate as glass. Fiberglass won’t crack, peel, warp, spilt, pit, or corrode and is virtually impervious to water. Fiberglass and Vinyl doors are available with your choice of baked-on standard colors for a finish that protects against UV rays. Milgard® Patio doors are available in sliding, in-swing or out swing styles and built to your specifications with panels, transoms, or sidelites. Choose from a variety of hardware and virtually endless grid options.